Employees, support staff and managers in non-manufacturing environments. In a transaction-based business, mistakes or errors are a primary source of customer dissatisfaction and rework and can result in unnecessary costs, wasted time and resources and even death. Incremental improvements can be made through better training, clear job instructions and attention to detail, but mistakes will still happen. Error-proofing techniques, on the other hand, make it impossible to make mistakes in the first place. Error-Proofing Business Processes is designed specifically for those working in offices and transactional environments. This course explores how to error-proof transactional processes by studying both the server-side (service provider) and the customer-side of the transaction. The course provides learners with techniques to uncover the root cause of errors and then prevent their recurrence. For Mistake-Proofing in a manufacturing environment, see Mistake-Proofing Training. Improve processes so that errors are prevented instead of relying on detection to find mistakes. Implement four different types of error-proofing solutions. Recognize that to error-proof a process or system the root cause of errors must be found and addressed. Be aware of examples of common error-proofing in action in everyday life. Understand that error-proofing does not require elaborate efforts or complex systems. Realize that errors are usually due to process problems, not people problems. Become familiar with the transactional model of process and some of the complexities. Understand some of the reasons transactional processes tend to be so complex. View errors by service providers grouped into the categories of tasks, treatment and detractors/attractors, and by customers into groupings of preparation, encounter and resolution. Become familiar with error-proofing effects, outcomes and solutions. Understand how error-proofing solutions are best developed in a team environment using a structured, data-driven problem-solving approach. Know that error-proofing solutions are a combination of effects and outcomes. Be aware of common techniques to achieve each of the four types of effects. See how error-proofing solutions are best developed using a team problem-solving process. Be familiar with establishing team roles and responsibilities and how to clarify the problem. Understand how to focus on the root cause. Know how to formulate an error-proofing solution and develop an action plan to implement it. Be able to evaluate the robustness of solution candidates. Recognize the Seven Wastes as chronic, hidden form of errors. Recognize the Seven Wastes in terms of the Transactional Process Model with both server-side and customer-side causes. 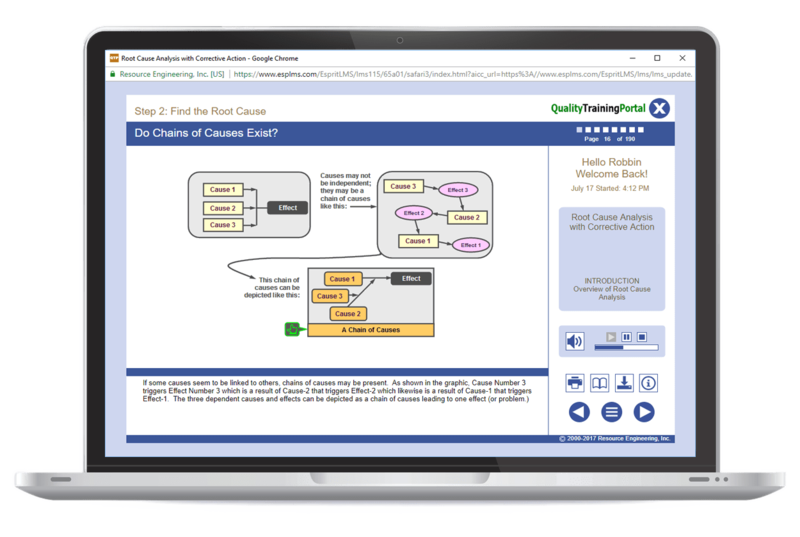 Learn how to apply the Five-Whys, Comparative Analysis, Timeline Analysis and Cause and Effect Diagrams as error-proofing investigative tools. Understand the goal of error-proofing. Know the language of error-proofing. Recognize error-proofing solutions in everyday life and use these solutions as triggers for ideas to error-proof transactional processes. Be familiar with the transactional model of a process and understand how errors can be introduced from the service provider’s side and from the customer’s side of the transaction. See the value of improving processes so that errors are prevented instead of relying on detection to find errors. Be aware of common techniques for achieving all four types of error-proofing effects. Have a basic understanding of how to identify the root cause of errors. Address root causes of errors by developing error-proofing solution candidates. Evaluate candidates to determine the best solution for the situation. Understand how the Seven Wastes represent chronic process errors and why these chronic errors are as important to address as acute errors. Know how to apply the Five-Whys, Timeline Analysis and Cause & Effect Diagrams as error-proofing investigative tools. Become familiar with additive data picture tools that can help paint a picture of the problem. Be familiar with the transactional model of a process and understand how errors can be introduced from the service provider's side and from the customer's side of the transaction.